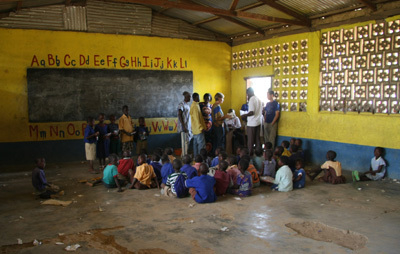 Establish a computer center near the village of Tongo. The last time we were in Ghana, we sat down with our Ghanaian counterparts and asked them what kind of development project they most needed. They didn’t have to think long….they want a computer center! There is a great need of computers in the area of Tongo. 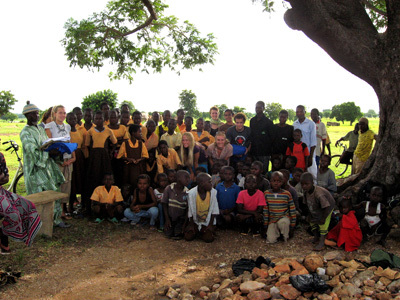 Ghana is not like America, where a high school education is a right. In Ghana it is a privilege for only a few. Those who can afford it, or those who are gifted enough to qualify for scholarships. All junior high kids in Ghana have to pass a test to get into high school, and that test includes a section on computer literacy. The problem is that in the more rural areas (such as our own), most students have never even seen a computer! In fact 73% of students here never make it to high school. So our goal this 2011 is to create a computer learning center in this village where every child has the opportunity to have hands on, basic computer time. This is extremely important, as technology is seen as a “way out” for many gifted children. We want to eliminate this major obstacle in the difficult road to higher education. Our goal is to raise money to buy 10 desktop computers that can be set up in a secure, locked center near the village of Tongo. It will be a place where all students in the district can be scheduled to learn these basic computer skills. While there we will train teachers that can work the computer center. These teachers will educate the students that go there. In order to keep this project sustainable, an expert in computer repairs will train a few locals how to do simple computer maintenance. Build furniture for an elementary school. We also want to allocate funds to the building of desks and chairs for five classrooms in an elementary school in the area where we are staying. 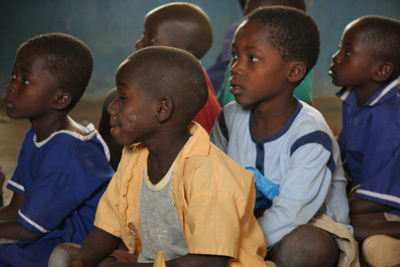 Students in the elementary school in Tongo currently sit on the floor to learn. We want to raise funds to hire local people to build desks and chairs for five classrooms in an elementary school in the area where we are staying. The presence of furniture in the place of learning will help to foster self worth and make the learning experience more comfortable as well as more productive. Imagine being a school child and not having this most basic element in your classroom. Would you be able to learn to your full potential in this environment?